Soundproofing can help you enjoy your favorite flicks without disturbing other family members or your neighbors. There are certain areas of the room that need to be taken into consideration in order to achieve optimum soundproofing and insulation. Windows: The first thing that home theater installation companies focus on, are your windows, and fortunately they do not require a lot of work. The team works to strengthen the ability of your window to block out sound. This is done by sealing the windows of the room with acoustical caulking compound. Once they have caulked the windows, they use 2-inch thick cell foam mat slabs, and fit them inside the frame of the window to seal the edges. Care is taken not to push it up against the glass so that there is some air space. This is done to all your windows. Doors: As with windows and floorboards, sound can travel through doors too. Assuming that you have installed your home theater in a closed room, a professional home theater installation company will also have to soundproof all doors. One of the simplest ways by which they achieve this is by installing an additional door generally made from MDF. Once they have installed an additional door, they pad all doors on the interior as well as exterior. The interior padding they use is deliberately oversized as this can act as a seal at the cracks around the doorpost. This will create an air lock, and ensure that no sound leaks out of the room. Walls: Many home theater installation companies recommend soundproofing a man cave halfway to save some money. However, if you wish to enjoy a true home theater experience, the experts suggest soundproofing all of the walls – and completely. When you hire a professional to soundproof your home theater room, they use MLV – Mass loaded Vinyl to soundproof the walls. The material is easy to cut and shape, and will improve the sound blocking ability of the wall, thus making your room absolutely soundproof. Lights: Yet another important aspect that a professional will never overlook is your light. They first check to see if the lights aren’t built into the ceiling. If your ceiling has inbuilt lights, they will add extra soundproofing material around the lighting, ensuring there is no overheating as a result of doing so. While this may be a painstaking job for you to accomplish, a professional can soundproof the area surrounding your lights in a jiffy. These are the four important aspects that most home theater installation companies take into consideration when soundproofing a room for your home theater system. Once a professional soundproofs your room, you can turn up the volume, and enjoy your favorite films without being interrupted! 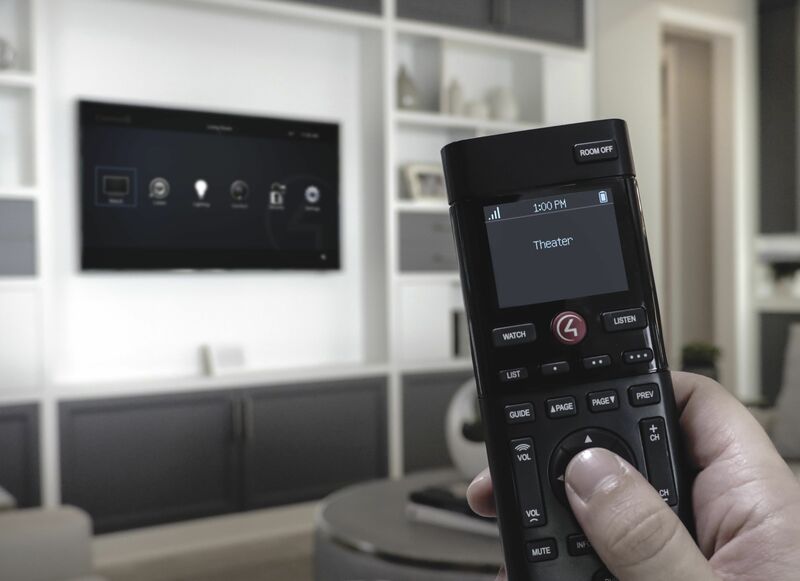 Call Sync Systems at 707-799-9558 today for expert home theater installation in the North Bay.